Experience is a great teacher. Architect, Scott Donald, is proof. Any doubts he had about using structural insulated panels (SIPs) for a massive school construction project he designed? They’re gone. This is because the Eastern Band of the Cherokee Nation Central School project proved a game changer. 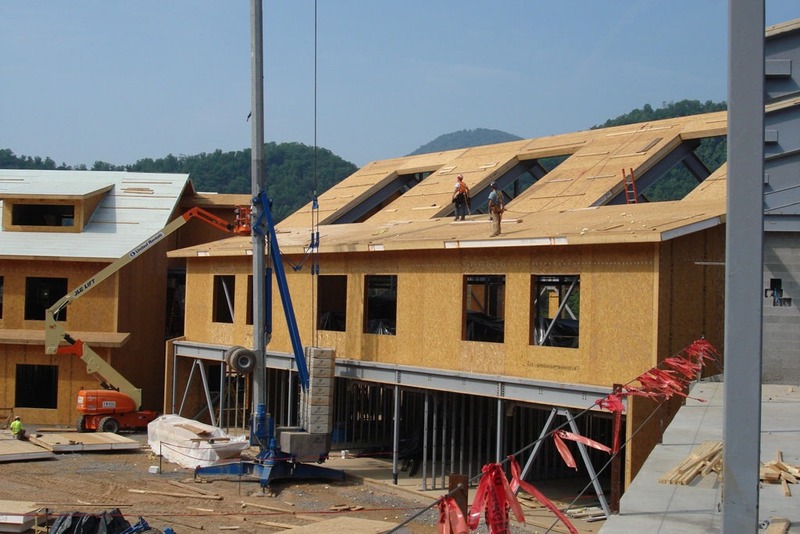 A principal with Padgett & Freeman Architects, Donald chose lnsulspan® SIPs for the Cherokee Central School walls and ceiling because he liked what the product promised in terms of construction ease and environmental advantages. The latter included a high R-value rating and limited construction waste. He wasn’t disappointed. Despite this project including more than a dozen buildings with a combined total of nearly 500,000-square-feet of space, Donald says the first-time experience is one he will repeat with commercial and residential clientele. “This is the first time I’ve incorporated SIPs into my design, and I loved it. They were doing 20,000-square-foot buildings and closing in the structures in two weeks. Normally, that would take a couple of months,” says Donald. The project had 15 “pods”, (separate building areas), with 400,000-square-feet of SIPs installed over a five month period. Choosing SIPs technology was also essential to the project’s end goal of achieving silver level certification under the LEED® program, explains Wayne Hess. He’s a project manager at PanelWrights, the construction company on the project. Hess notes that completing this portion of the world’s largest SIP project happened on schedule. He believes it’s a testament to the technology. The school is a K-12 complex with 1,900 students. Upon receiving LEED® certification, it will be the largest LEED® certified school project east of the Mississippi River. The school pays tribute to modern technology. It also incorporates native tradition: weaving, wood carving, beading, and respect for the native plants and mountains that surround it.